Born in Auckland, New Zealand, Foran went to Ellerslie Primary School and played for the Ellerslie Eagles before his family moved to Australia. Foran attended St Ives North Primary School and then went on to attend Marist College North Shore, alongside friend and future Sydney Roosters player Mitchell Pearce. Foran played his junior football for the Ellerslie Eagles in the Auckland Rugby League and several Norths Juniors district clubs; the Asquith Magpies and the North Sydney Brothers. In 2007, Foran represented the Australia Schoolboy rugby league team. Foran played in the North Sydney Bears Harold Matthews Cup and SG Ball teams before being signed by the Manly-Warringah Sea Eagles. Foran played in the Sea Eagles NYC team in 2008 and 2009. In early 2009, Foran was promoted to Manly's full-time squad and toured England with their World Club Challenge team. Foran made his first grade debut in round 15 against the Canberra Raiders, starting at five-eighth and scoring a try in Manly's 20-14 win at Brookvale Oval. On 6 August 2009, Foran was named in the 45-man New Zealand Kiwis training squad for the 2009 Rugby League Four Nations. 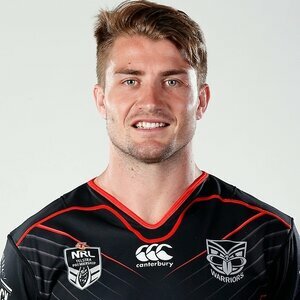 On 26 August, Foran publicly declared that he would represent New Zealand, making himself ineligible for Australia and New South Wales. Foran was named on the interchange bench in the 2009 NYC team of the year. On 7 November 2009, Foran become Kiwi number 757 when he made his test debut, playing in the centres in New Zealand's 12-20 loss to England at Alfred McAlpine Stadium. After a strong start to the 2010 NRL season for the Sea Eagles, Foran was rewarded with selection at halfback for New Zealand in the 2010 Anzac Test, which was played at Melbourne's new AAMI Park. Despite the 8-12 loss, Foran produced a strong performance and was being heavily considered as New Zealand's halfback for the 2010 Four Nations. However, Foran picked-up a shoulder injury near the end of the NRL season which required him to have surgery and ruled him out for the entire tournament. During the season, Foran played in 23 matches and scored 4 tries for the Sea Eagles. Following the early rounds of the 2011 NRL season, Foran was rewarded with selection at halfback inside of Benji Marshall at five-eighth for the annual Anzac test match against Australia at the Gold Coast's Cbus Super Stadium. In the game, he set up the final try of the game to team-mate Lance Hohaia, however Australia won the game 20-10. On 2 October 2011, Foran played five-eighth in the Sea Eagles' 24-10 win over the New Zealand Warriors in the grand final in front of 81,988 at the ANZ Stadium in Sydney. Foran finished the Sea Eagles successful season with him playing in 26 matches and scoring 8 tries. After the 2011 grand final victory, Foran was selected in the New Zealand Kiwis' squad for the trans-Tasman test game against Australia and the 2011 Four Nations tournament. Foran travelled to England with the Sea Eagles for the 2012 World Club Challenge match against 2011 Super League Champions Leeds Rhinos, Foran played at five-eighth in the 26-12 loss at Headingley Stadium. 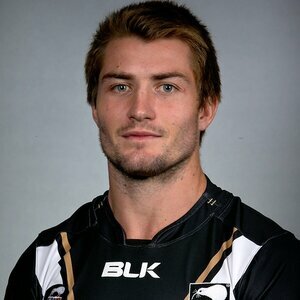 On 13 October 2012, Foran was selected to play halfback for the Kiwis against the Australian Kangaroos in the post-season trans-Tasman test in which the Kiwis lost 18-10 at 1300SMILES Stadium. On 13 February 2013, Foran was chosen to play for the NRL All Stars team off the interchange bench in the 6-32 loss to the Indigenous All Stars at Suncorp Stadium. On 19 April 2013, Foran was selected to play five-eighth for New Zealand in the 2013 Anzac Test against Australia at Canberra Stadium. Hours before the test game, New Zealand captain Simon Mannering was ruled out of the game with a calf injury and Foran was then named as the New Zealand captain for the game, which resulted earning his first captaincy title for his country. On 6 October 2013, Foran played five-eighth in the 2013 NRL Grand Final against the Sydney Roosters, however the Roosters won the game 26-18 and the NRL Premiership Title. Following the NRL grand final, Foran was named in the New Zealand Kiwis World Cup squad. Following the World Cup, Foran won the Steve Watene Memorial medal on 9 December 2013, becoming only the second recipient after Jeremy Smith to win this award. 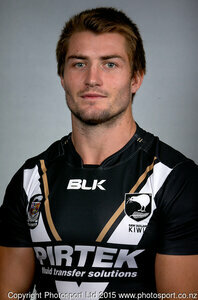 Foran was also named as the New Zealand Kiwis 2013 player of the year. Foran was selected in New Zealand's 2014 Four Nations squad. On 25 October 2014, Foran played his first Kiwi-test match at five-eighth in the Four Nations tournament round 1 opener at Suncorp Stadium, Foran produced a strong performance; as he, along with his halves-partner Shaun Johnson, guided the Kiwis to a 30-12 win over Australia, as well as guiding the team to their first win over Australia since the 2010 Four Nations final. He proved a solid foil for halfback Shaun Johnson to work off and steadied the Kiwi-team ship on more than one occasion and backed it up with a good defensive game; which also helped the Kiwis to win the 2014 Rugby League Four Nations title, as well as extending the team's winning run to 3 consecutive wins on home soil, guiding the team to their first home-game win over Australia in New Zealand since 2003 and guiding the team to 2 consecutive test-games wins over Australia since 1953. New Zealand won the final 22-18. On 23 January 2015, Foran was named in the Sea Eagles 2015 NRL Auckland Nines squad. On 13 February 2015, Foran was selected at five-eighth for the NRL All Stars in the 2015 All Stars match at Cbus Super Stadium. The NRL All Stars lost 20-6. On 16 March 2015, Foran ended weeks of speculation over his future by informing teammates he was joining the Parramatta Eels from 2016, Foran who was off contract at the end of the 2015 season was understood to have agreed a four-year deal worth $AUD4.8 million with the Eels from 2016. For the 2015 Anzac Test, against Australia at Suncorp Stadium, Foran played at five-eighth and assisted the Kiwis to a 26-12 victory, resulting the Kiwis defeating the Kangaroos 3 times in a row, the first time since 1953. On 3 July 2015, Foran officially signed a 2-year contract with the Parramatta Eels, with an option for an additional 2 years, starting in 2016. Foran was named team captain of the Parramatta Eels, alongside club captain Tim Mannah. On 28 April 2016, Foran was rushed to hospital in an ambulance after he overdosed on prescription medication and he was subsequently granted indefinite leave. On 29 April 2016, reports came out that Foran had been struggling because of the pressure of football, a relationship breakdown with his partner who recently gave birth their second child, a third-party sponsorship dispute with former club Manly who allegedly owe him $140,000 and the prospect of Parramatta losing competition points from the club’s salary cap scandal. On 6 May 2016, Foran launched legal action against KIIS 106.5 Radio host Jackie O after she made degrading comments about Foran and his ex-partner Rebecca Pope about their paternity of the couple’s second child, claiming that Foran was not the father of their newborn child. Jackie O later apologized to Foran and Pope, commenting "I just want to take this time to personally apologise to Rebecca and Kieran for what I said. I can imagine how hurtful that would have been and I feel really terrible, I really do, and I'm truly sorry," she said. Later, on 21 May 2016, Foran was again under the spotlight after reports he lost $75,000 on his TAB account on a gambling binge. Reports claimed that Foran betted money on greyhounds and horse racing in South Africa, and in one wager he allegedly placed a $20,000 bet on a horse that came last, hours after Foran returned to Sydney from a three-day stint at a Queensland rehabilitation centre. On 24 May 2016, Foran was reportedly planning to sue TAB over his leaked betting details seeking a $150,000 payout from the betting agency. In round 12, against the Newcastle Knights, Foran suffered a season ending shoulder injury in the Eels 18-20 loss at Hunter Stadium. On 28 June 2016, Foran was stripped of his captaincy and fined $5,000 for unprofessional conduct by the Eels after he did not turn up to a rehabilitation session and drunk alcohol while being injured. On 29 July 2016, it was announced that Foran had been released from his contract with the Eels to sort out his personal issues. On 31 July 2016, Foran revealed that he is bipolar and that he attempted to overdose due to the pressure of a family breakdown and his football career. In the interview with News Corp, Foran also spoke of his close friendship with a controversial gambler, Eddie Hayson, and said a return to rugby league was not a priority for him. Foran, who said in the interview that gambling had been a part of his life for a long time, also revealed that Hayson had been a close friend of his for 10 years. Foran said that in April 2016 he had the intent to take his own life; "I remember driving in my car, thinking in my head what way I was going to kill myself ... I had a batch of left over pills that were pain-killing medication. I tried to basically overdose". Foran said the breakdown of his relationship with partner Rebecca Pope, the mother of his two young children, and the pressure of his football career had led to his attempted overdose. "November last year was sort of when my whole world started crumbling beneath me. I started at a new club, had the weight of the world on my shoulders. Behind the scenes I was going through a relationship breakdown with a heavily pregnant partner, a young daughter. I was trying to juggle everything, including how depressed I was," Foran said. Foran said after discussions with Parramatta coach Brad Arthur in December, he checked into a mental health clinic. "It was decided to send me up to hospital in Brisbane to get treatment. I did a full three-week stint in the hospital. I worked closely with a mood psychiatrist who basically diagnosed me then and there with bipolar." Foran did not rule out a return to rugby league, but said he needed to get away from the game. "It (rugby league) wasn't what I needed in my life right now, and it's not. I need time to work on myself and get my personal life back on track. My priority at the moment is getting myself right. I know there will come a time where I need to earn a living. "When I get that love and desire back for rugby league, then I will know I will want to play it again. At the moment I have no motivation to play it." 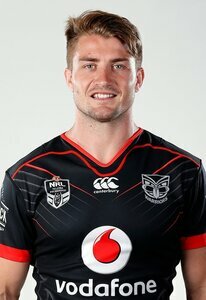 On 22 September 2016, Foran signed a one-year deal with the New Zealand Warriors for 2017.